Well, here we go, then……………….. I hadn’t intended to write a follow-up to my last blog, ‘The allure of vinyl’ (now a ‘Part one’, I suppose), but due to reading a paperback by the late great DJ, John Peel, ‘The Olivetti Chronicles’ (published by Corgi Books), there was a chapter, amongst others, that really resonated with me – & it was too much of a coincidence of interweaving facts within that chapter not to write a ‘Part 2’. What was it/were they? Read on to find out…………. Just this morning (it won’t be by the time I finish writing this, of course), I was reading the chapter entitled ‘Record Shops’ from the absorbing afore-mentioned book, . The particular piece was written back in 1980 for Punch magazine, & concerned John Peel’s earliest forays into his local record shop(s). Apparently, & it was something I’d forgotten about, most record shops were merely ‘departments’ within bigger stores. He bought a Columbia 78rpm in ‘Crane’s of Liverpool’ – a furniture & musical instrument shop. It was by Ray Martin & His Orchestra, & called ‘Blue Tango’. I was born much later than Mr. Peel, but I do remember quite well (& we’re talking late 60’s, early 70’s) the location of these ‘record depts.’ in furniture shops (why furniture shops? ), large department stores & musical instrument shops – a bit more of that later…. 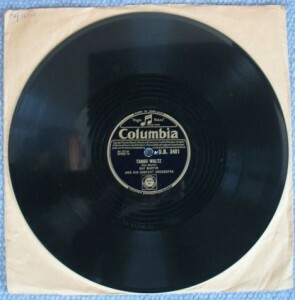 I also have a 78rpm in my collection by Ray Martin & his Orchestra, but this is called ‘Tango Waltz’ (I wonder if it was pre, or post, Blue Tango?). I bought it years ago when living in London, I think, from a jumble sale. Whenever I play it (as I am at this moment in time……You’ll have to believe me here), I get transported back to my early days of listening to the valve radio – which I, incidentally, have as well………& it still works! – hearing various dance bands/groups/solo artistes of the era. God, I’m beginning to sound old! The 78 is nothing to write home about, but it’s pleasant, & although I can’t associate it with any particular moment in time, or event, it does evoke the sound & warmth coming out of the radio & the coziness of life at home in my earlier days. It’s comforting – nothing wrong with that, I think? – ‘Parachute’ by The Pretty Things. It’s a wonderful, melodic, tuneful, raucous & experimental ‘concept’ album. Bought during a lunch break from my school holiday job (in Marks & Spencer), from Wolsey & Wolsey’s electrical shop – they sold everything from televisions, transistor radios & record players – it was a revelation hearing the music in the listening booth (I really do miss those booths), with the stereo effects coming out of the tiny speakers located just above my head. I listened in wonder to side one, all the way through, & proceeded to march (in non-military style) to the counter with my hard-earned money. It all felt very subversive, & buying it made me feel soooooooo good! At last, I thought to myself, an album that filled that underground/progressive gap that was missing in my very, very minimal record collection at the time. 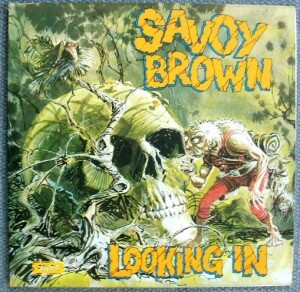 – Savoy Brown’s ‘Looking In’. Once again, this was yet another purchase made during a lunch break from my school holiday job. I found this LP in the section marked ‘Underground’. My two friends (both working in the same shop), & myself, settled into the dark, curtained listening booth, which was much more luxurious than Wolsey & Wolsey’s, in the basement (household & hardware items) of Arnauld’s Dept. Store. I remember there being a small sofa in there. We all agreed, crammed on that sofa, that there was something special about this album, even though it seemed ‘very bluesey’, & was certainly far better, to our progessive ears, than The Moody Blues album we’d all listened to on a previous lunchtime outing. Incidentally, I once copied the cover artwork, & entered it into an all-schools exhibition at the local library…..& it won first prize! I also managed to sell it, for a mere £5.00, which boosted my pocket money no end. 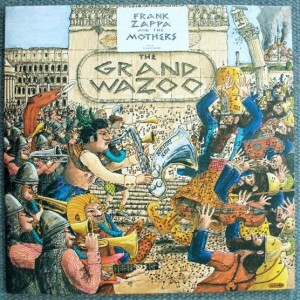 If anyone’s interested, & I’m sure you’re on the edge of your seats with this one, the other side of Ray Martin’s ‘Tango Waltz’ is called, ‘Carnavalito (Festival Of Flowers)’. Now, that’s something to remember if it ever cropped-up in a pub trivia quiz! This entry was posted in Uncategorized by Graham Beck. Bookmark the permalink. I still maintain that a decent vinyl pressing beats a CD for detail and sound quality. Convenience?….. nope. Durability?….. not generally. Soul?…. absolutely. Tangibility?… no question. Big enough to look at & read……………absolutely!! Very evocative Graham, I remember being in a ‘posh’ department store in Bradford and I had to ask a gentleman, who was attired & coiffed like a Grammar School headmaster, if they had a copy of ‘Red Octopus’ by Jefferson Starship. He looked at me as if I was a Klingon speaking Klingon, which incidently was one of the reasons I went in there. The place was so stuffy and was dedicated to ‘classical. music’ with a very small section for that ‘pop’ music for the hoi polloi, so ruffling their feathers was a joy. they didn’t have it by the way and neither have I since then. 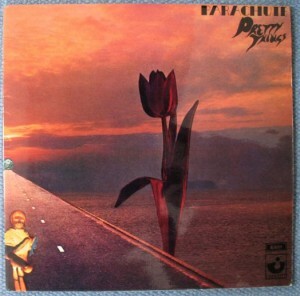 However I do have said ‘Parachute’ album by The Pretty Things on vinyl and love it. Loving these blogs so thanks. Thanks for that, Mike. Records/LPs/45s always seem to engage other like-minded people in some form of ‘conversation’. I’m glad it’s bringing back even more memories for you. I spend half of my writing time just thinking about the past – it’s quite therapeutic writing all this, & it certainly brings back events, people, places, & other little bits of useless information. I’ll keep the blogs coming. You keep the comments coming. Vinyl all the way! There’s something I love about owning an album from the time when it was first released and was probably very special to someone. Parachute is a fantastic album that everyone should hear. I missed those guys the other week when they were at Hessle Town Hall. Gutted! I think Parachute was my ‘turning point’ in music, when I thought ‘Yes, this is different/special/uplifting’. I haven’t looked back since…….. Thanks for reading it, Em.